Dysphonesia is a very important area to work on as previously mentioned…children with dyslexia and/or dysphonesia very quickly improve their single syllable words (dog…cat…rug) with the use of phonics. Mono syllabic words are slightly more challenging…we can improve this area by breaking down the words into syllables like SUM-MER…WIN-DOW, etc. We also need to introduce work on blends which is equally important. What are blends?…blends are pairs of letters that become a single sound like sh and ch and depending on where they are placed, as this could have a slight variation of sound. We are looking at a language that has a Germanic and Latin platform on to which the English was framed...known to be one if not the hardest languages to master. We need to head in the direction of linguistics and why our spelling performance doesn’t always reflect that of our reading ability… are we reading exactly what is in the books or are we adlibbing, replacing words with words that are stored in our brain? We need to take a holistic approach so we can begin to understand the problems faced by the dyslexic child and apply the preferred teaching/learning style, if we truly want to move this forward! We can all relate to our early learning and the struggle at school to grasp the English language. We all share one thing in common…it was a subject that couldn’t be skipped, we had to learn it…we need it…we would struggle to manage without it. I was talking to someone in their fifties who struggled with the very subject and they remarked “Even now getting on a bus is a worry…I have to ask the driver as I can’t read the sign or understand the numbers that tells me where the bus is heading”. If all our food came in a plain package with no images so many would struggle to read what the package contained…even cooking instructions would prove difficult, as would instruction manuals for all our gadgets…so much so that what many take for granted is a struggle for others in society. If we take a look at education…most subjects involve English…even maths! It’s unfortunate but poor reading and also poor learning skills is becoming ever greater with young people…modern technology that has been designed to make our lives easier is helping to fuel the problem…predictive texts…spell checkers…voice typing software, etc. With some 10% of the population suffering from Dyslexia, how can we spot that our child might be dyslexic? Some of the suggestions below could also point to dyscalculia and dysgraphia. The most obvious sign is letter reversal and common letters are b and d…p and q. Some children get the number 5 the wrong way round (dyscalculia). Letters within words can be the correct letter but in the wrong order, leading to spelling errors such as ‘girl’ could become ‘gril’. Diagraphs/blends tend to prove difficult, the sh…ch...ur…ir , etc. Word endings are often difficult with the y very often replaced with i or e.
Monosyllabic words are often easier for the dyslexic child to relate to as they can sound the letters out. Children often confuse right with left. Poor or slow writing is another possible indicator (children have to constantly look up at the board to replicate the correct spelling) and this can also point to poor short term memory (dysgraphia). Memory can also show up in a slow reader and also the lack of retention or reference to the passage of reading. Tracking is another problem (if the teacher pauses note taking or classroom noise distracts the student). Reading rulers can help to keep your sight line/passage of text. A lack of interest or understanding in subjects that involve reading, writing and spelling, but a flair in creative subjects can be another indicator of dyslexia…dysgraphia…dyscalculia. 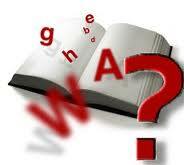 Part Two on what causes dyslexia and how we can help will follow next week. If you like our work feel free to comment...there are many posts on here produced by ourselves.